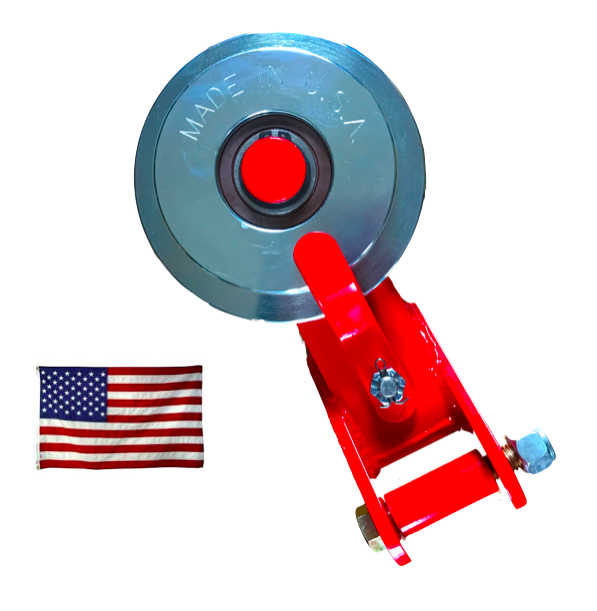 We also offer other equipment and supplies to complement the Exeter retort. These machines have 2 rotating shafts with cutting knives that convert branches and small stems into wood chunks for fuel wood, cooking wood, and feedstock for charcoal. There are a variety of sizes to process wood up to 6″ in diameter. 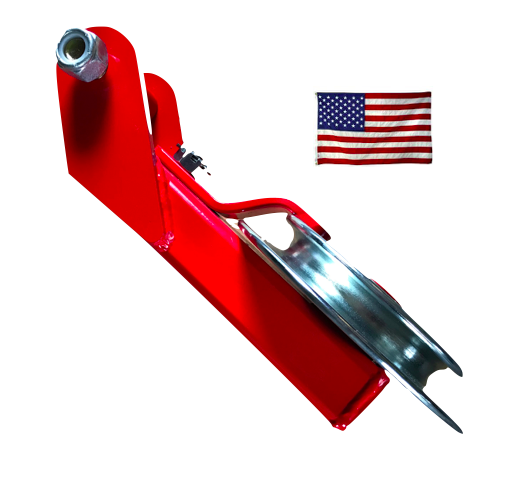 They’re offered in models intended for use with a bagger, or with a conveyor for bulk production. They can be powered with a tractor, a small engine, or by electric. 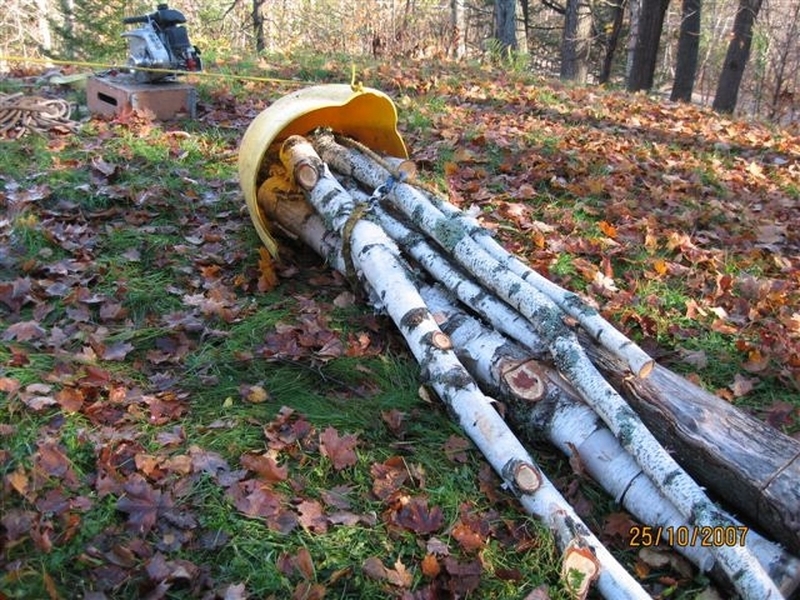 Winch logs around obstacles and valuable residual trees. 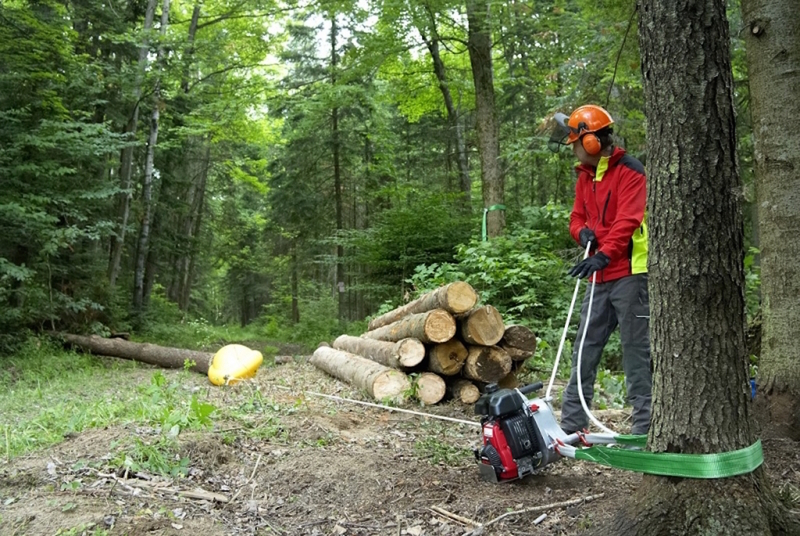 Small portable capstan winches are helpful tools for small farmers and forest owners to haul in logs and tree tops as feedstock.